Tiree’s westerly maritime location, coupled with its varied landscape and traditional non-intensive crofting systems have resulted in a unique abundance and diversity of wildlife. 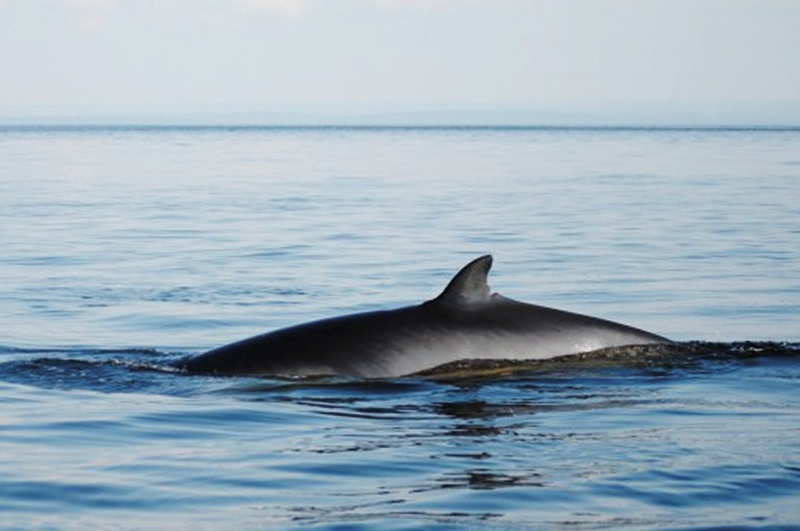 The close vicinity of the warming Gulf Stream means that frosts are rare and the island provides a valuable refuge for wildlife during cold snaps on the mainland. There is much to delight and excite the visitor throughout the year, be they a casual birdwatcher or a specialised naturalist. Winter gales lash the island and may wreck seabirds, such as Fulmars, Gannets and even Little Auks onto the shores. However, many birds seek refuge here from freezing weather on the mainland. Numbers of wintering duck peak this month with large rafts of Tufted Duck and Goldeneye on Loch Bhasapol, and foraging flocks of Wigeon, Teal and Shoveler on Loch a’ Phuill. The wildfowl are worth checking for less common visitors: Pochard, Pintail, Coot and Little Grebes are present in small numbers especially at Loch Bhasapol and Loch Riaghain, whilst recent winter rarities have included Ring-necked Duck and American Wigeon. Rare “sea-beans”, the seeds of tropical plants growing on Caribbean Island’s, wash up on the beaches at the end of their long journey, and may be joined by storm-tossed coconuts. Tiree’s low-lying landscape means that drainage is difficult and heavy winter rain can create large areas of flooding. Heavy flooding on The Reef attracts wintering flocks of Whooper Swans and dabbling duck. The wintering geese are now at peak numbers, having been joined by additional birds that have moved up from the flocks on Islay. Up to 4,500 Barnacle Geese inhabit the island, especially in the areas around Balephetrish and Ruaig, whilst up to 750 Greenland White-fronts are more evenly scattered and can be hard to separate from the 2,500 resident native Greylags. Careful checking of the goose flocks may reveal the odd Pink-footed Goose and Canada Goose, whilst one or two Pale-bellied Brent Geese have wintered annually in recent years with the Barnacle Geese. For the ubiquitous Brown Hares, the mating season has started and they box and chase each other to attract mates. The days are already lengthening at this northern latitude and migrant birds are heading towards their breeding grounds. Among the first to arrive are Black-headed and Lesser Black-backed Gulls, the former in its full breeding finery. Wheatears usually return en masse at the end of the month together with the very first of the Swallows. Up to 6,000 Golden Plover gather in a vast flock on The Reef, many moulting into their breeding finery before heading north once more. Large raptors move in search of breeding sites and the occasional eagle or Red Kite may stop off for a day or two. Small numbers of Long-tailed Ducks display in sheltered bays, whilst pairs of piebald Shelducks take up residence throughout the island. The Barnacle Geese and Greenland White-fronts start departing early in the month and become increasingly flighty. Still larger numbers of geese pass over from Islay, and some drop in and mingle with the local flocks. 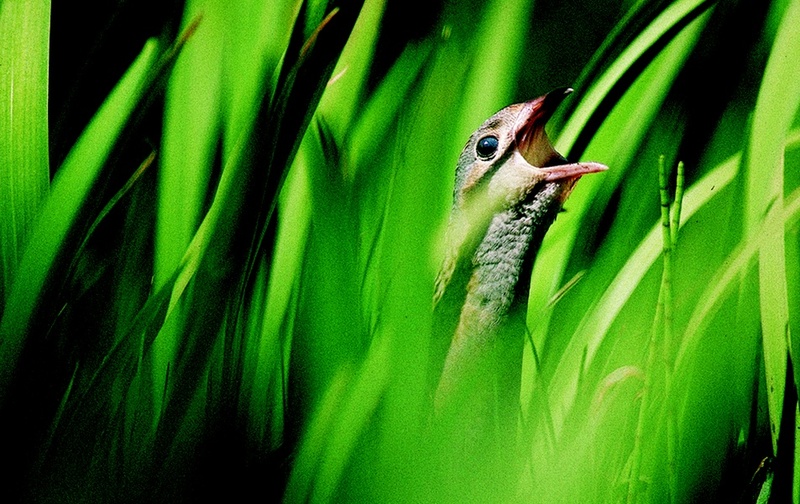 The winds that take the geese north bring the very first of the Corncrakes, whilst groups of Black-tailed Godwits in their brick-red breeding plumage stop off to feed at the edges of the machair lochs, en route to their Icelandic breeding grounds. 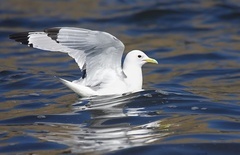 As the sea warms, so the fish return and the first dolphins and Harbour Porpoises appear to feed upon them, their presence often betrayed by wheeling gulls and Gannets. 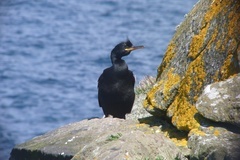 The seabird cliffs at Ceann a’ Mhara are re-occupied by a vast noisy colony of Fulmars, Kittiwakes, Shags and auks. 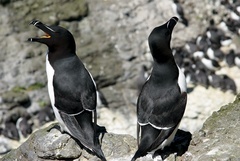 The Guillemots and Razorbills are joined by small numbers of Black Guillemots, or “Tysties”, whilst the odd Puffin may linger offshore. The first Small Tortoiseshell butterflies emerge from hibernation on still sunny days and are joined by queen bumblebees including the rare machair-loving Great Yellow Bumblebee. The machair breaks forth in a riot of flowers. The first purple orchids mix with the yellows and whites of other machair blooms. 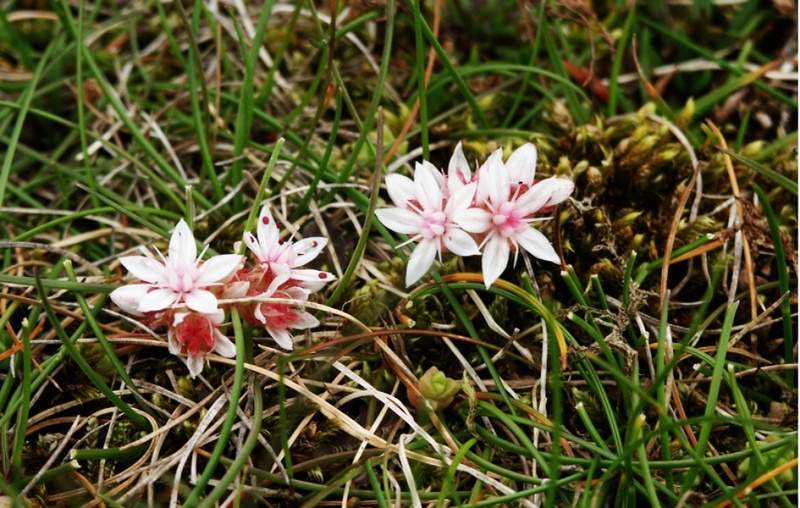 Birdsong is at its peak; the machair and hay-fields are alive with the sounds of Lapwing, Redshank, Oystercatcher and Skylark, whilst Loch Bhasapol resounds to the more raucous noises of a large colony of Black-headed Gulls. 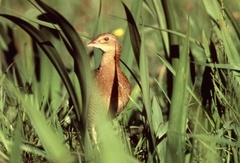 Corncrakes return to call from the depths of Iris beds and nettle clumps, but may be seen in the open by patient observers, as males dispute territories. In sheltered ditches, the first Blue-tailed Damselflies take to the wing and share airspace with the first summer broods of Green-veined White butterflies. Mid-summer and the blooming machair is now at its peak. Each field is a different colour reflecting a varied mosaic of grasses, vetches, clovers, bedstraws and orchids. The breeding season for most birds is now in full swing and adults are busy feeding their growing chicks. Corncrakes call endlessly at night, whilst the bogs vibrate to the drumming of Snipe. 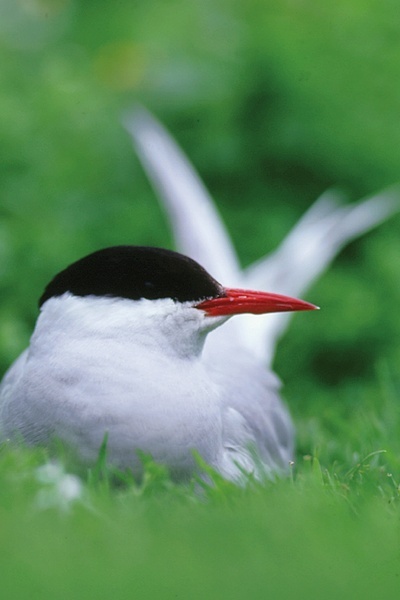 Large colonies of Arctic Terns nest around the coast and are joined in places by smaller numbers of the scarcer Little Tern, whilst summering Great Northern Divers are now in their full breeding dress. 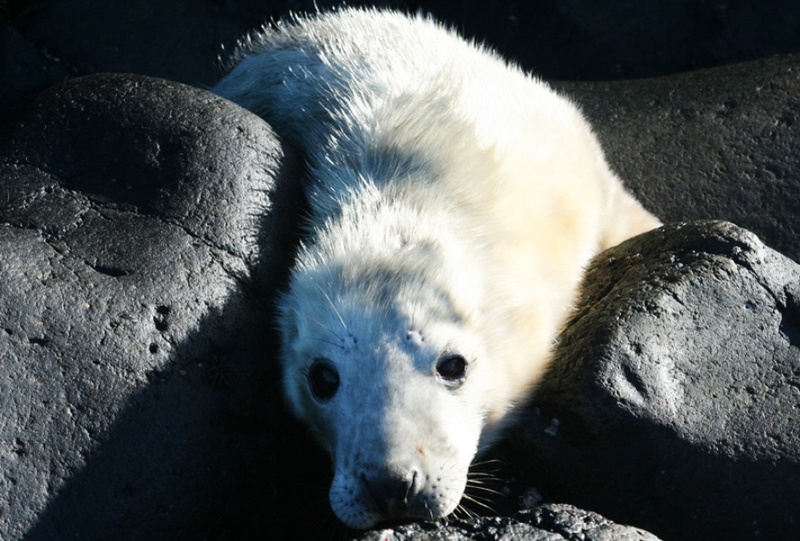 Common Seals with young pups are a common sight on islands in sheltered bays such as Gott and Vaul. The machair changes from the pink of Red Clover to the mauve of Knapweed, and buzzes with the sound of myriads of bees. 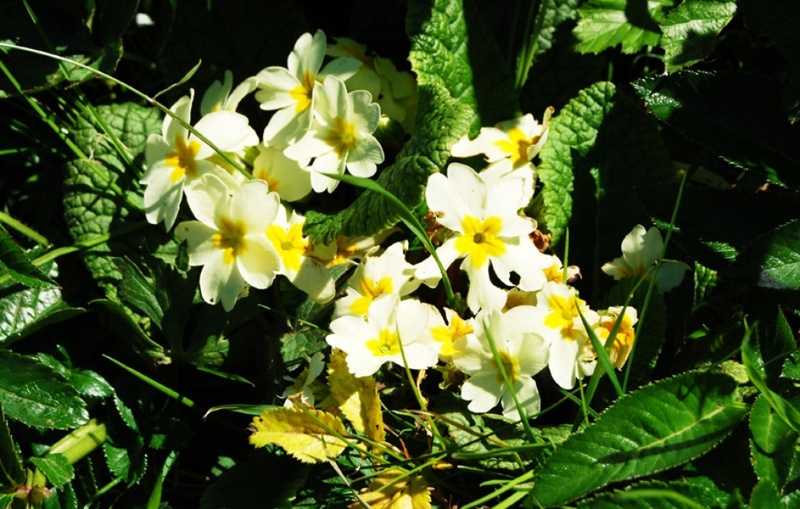 Nine species of Bumblebee search the flowers for nectar and are joined by rich mix of other insects, including large numbers of Meadow Brown and dazzling Common Blue Butterflies. Fortunately for us, the lack of cover and frequent breezes mean that midges are rarely a nuisance. Arctic and Great Skuas from colonies on Coll cause havoc amongst the seabirds feeding offshore. If pine crops fail in Scandinavia, then small parties of Crossbills may arrive to feast on the seed-heads of Thrift and thistles. Otters are widespread on the island and can be seen with luck, fishing for eels in the middle of lochs or in the more sheltered bays. Huge Basking Sharks ply the waters all around the island, mouths agape to filter the plankton soup; their dorsal fins are easily seen from the ferry or from vantage points such as West Hynish and Caoles. High summer. Kelp has grown long in the warmer water and the sea is rich with plankton. 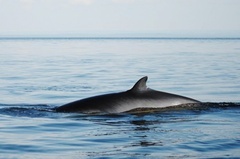 The cruising Basking Sharks in Gunna Sound are sometimes joined by passing Killer Whales and Risso’s Dolphins, which use the shortcut of the Sound to gain access to The Minch. 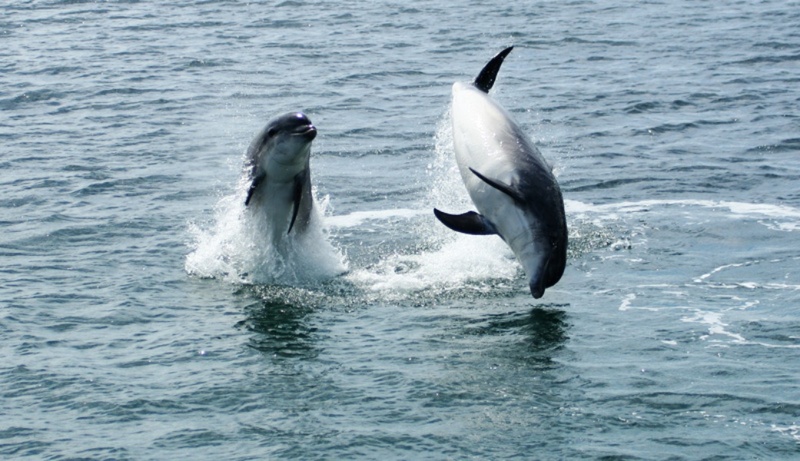 More frequently seen on calm days are Harbour Porpoises and Bottle-nosed Dolphins. 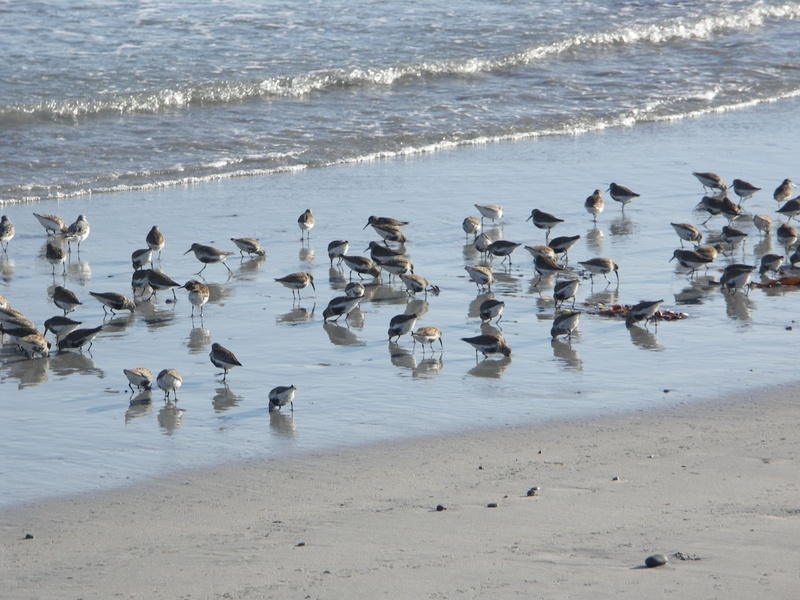 Shorebirds are already returning from their brief Arctic summer. 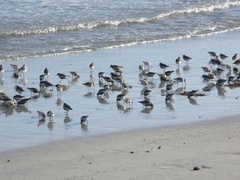 Large flocks of Dunlin, Sanderling and Ringed Plover gather on the beaches and are sometimes joined by rarer species. Greenshank and Ruff appear at loch edges, while groups of returning Black-tailed Godwits forage with local Lapwing and Starling on freshly cut silage fields. Large flocks of locally breeding Twite gather on the seed-heads of uncut meadows. August is the peak month for dragonflies, with good numbers of Black and Highland Darters on the wing around wetlands on calmer days. This is the month of peak bird passage. Watching for passing seabirds can be very rewarding from northern and western headlands during north-westerly blows in the first half of the month. Local auks, Fulmars and Kittiwakes are joined by throngs of Manx Shearwaters, together with smaller numbers of Sooty Shearwaters, Storm Petrels, Grey Phalaropes and skuas. The last of the Arctic Terns head off during the month, but are often joined by small numbers of Sandwich Terns from further east. Large flocks of Swallows gather on the wires, whilst the first wintering Robins return to the shelter of their favoured gardens. Wheatears gather food on the beaches and scarcer migrants can lurk in any patches of cover. Westerly winds bring vagrant waders and ducks from North America, whilst easterlies can bring rare warblers from Eastern Europe and Asia. Flocks of Pink-footed and Pale-bellied Brent Geese pass though at the end of the month but rarely linger long on their journey south. The last of the summer bird migrants, including the Corncrakes, leave, but odd rarities may turn up from just about anywhere. Colder north or easterly winds bring the first returning Redwings and Fieldfares, together with Whooper Swans from Iceland, plus White-fronts and Barnacle Geese from Greenland. Flocks of Golden Plover steadily increase in size at the west end of the island and are worth checking for rarities as such as Dotterel and American Golden Plover. The odd Lapland Bunting may pass through, together with small numbers of Blackcaps and Chiffchaffs in more sheltered gardens and in coastal nettle patches. 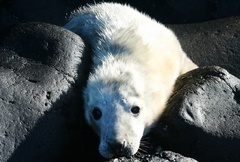 Grey Seals haul up on the western skerries to start producing this year’s pups. The first winter gales return and bring up piles of dead kelp, or “tangle”, onto the beaches. The rotting seaweed provides rich pickings for wintering flocks of waders including Sanderling, Dunlin and Ringed Plover on the open sandy beaches, and Turnstone, Purple Sandpiper and Redshank on more rocky stretches. In quiet corners, they are joined by Snipe, resident Rock Pipits and in some winters at least by small groups of Snow Buntings. Huge numbers of Snipe winter in wet places all over the island and are joined this month by smaller numbers of Woodcock and Jack Snipe. Banks of multi-coloured seashells are washed ashore on favoured beaches, mostly Limpets and Mussels, but including delicate yellow and maroon-coloured Winkles, and porcelain-like Cowries. Cold snaps can bring further influxes of Redwings and Fieldfares from Scandinavia, and Chaffinches, Greenfinches and Goldfinches from the mainland, to join the wintering Robins, Wrens, Blackbirds and Song Thrushes. All must run the gauntlet of high densities of raptors, which include Merlins, Hen Harriers, Peregrines and Sparrowhawks. Large flocks of Starlings and smaller groups of Skylarks gather to feed on stubbles or fields fertilized with seaweed, making the most of the short winter days. Gull flocks are worth checking for scarcer northern species such as Glaucous and Iceland Gulls, which appear annually, whilst Ring-billed and Laughing Gulls from North America have also been recorded.